Search Engine Optimization refers to set of activities that are performed to increase number of desirable visitors who come to your site via search engine. These activities may include thing you do to your site itself, such as making changes to your text and HTML code, formatting text or document to communicate directly to the search engine. If it conforms to the search engine's guidelines. If it does not involves any deception. 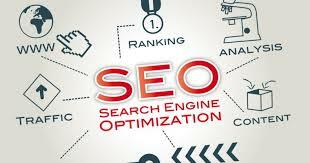 It ensures that the content a search engine indexes and subsequently ranks is the same content a user will see. It ensures that a Web Page content should have been created for the users and not just for the search engines. It ensures the good quality of the web pages. It ensures the useful content available on the web pages. Always follow a White Hat SEO tactic and don't try to fool your site visitors. Be honest and definitely you will get something more. Try to improve rankings that are disapproved of by the search engines and/or involve deception. Redirecting users from a page that is built for search engines to one that is more human friendly. Redirecting users to a page that was different from the page the search engine ranked. Serving one version of a page to search engine spiders/bots and another version to human visitors. This is called Cloaking SEO tactic. Using Hidden or invisible text or with the page background color, using a tiny font size or hiding them within the HTML code such as "no frame" sections. Repeating keywords in the Meta tags, and using keywords that are unrelated to the site's content. This is called Meta tag stuffing. Calculated placement of keywords within a page to raise the keyword count, variety, and density of the page. This is called Keyword stuffing. Mirror web sites by hosting multiple web sites all with conceptually similar content but using different URLs. Creating a rogue copy of a popular web site which shows contents similar to the original to a web crawler, but redirects web surfers to unrelated or malicious web sites. This is called Page hijacking. It allows you to see which keywords users actually employ to find products and services within your chosen market, instead of making guesses at the keywords you believe are the most popular. Text-based site development wherever possible. Clean and logical site structure. Proper markup of key page elements. Building links will make up about 60% of your work. There are ways to automate this process using shortcuts, workarounds, and submission services. Internal linking is also very important. Treat the way you link to your own content same as you would link from an external site. Webmaster dashboard is provided by both Google and Bing that gives insight into activity by the search engine on any site that has been registered and verified via dashboard. Dashboards offer a number of tools which allow us to understand how the search engine sees your site. These are the only way to identify crawling, indexing, and the ranking issue with your site. Create logs of pages and each page should however contain a minimum of about 200 visible words of text to maximize relevance with Google. Create a home page link to each and every web page and provide easy navigation through all the pages. Pay attention to your dynamic page URLs. Google can crawl and index dynamic pages as long as you don't have more than 2 parameters in the URL. Check your complete site for broken links. Broken links will reduce your other pages rank as well. Don't keep hidden text on your web pages. Don't create alt image spamming by putting wrong keywords. Don't try to fool your site visitors by using miss spelled keywords. Don't send spam emails to thousand of email IDs.